The research of the phenomenon of revolution from the point of view of relation between rational and irrational is considered to be an important problem field for history of philosophy and ethics. The present report offers an attempt of reconstruction of ethical philosophy of Baden school of Neo-Kantianism (W. Windelband, H. Rickert, E. Lask) as well as an attempt of putting it in perspective of possible methodological attitudes of the ethical analysis of the phenomenon of revolution. The reconstruction of Neo-Kantian practical philosophy is closely linked with the basic foundations of Neo-kantian philosophy of values, the basic principles of which are based on Kant’s critical philosophy and Fichte’s science of knowledge. Windelband and Rickert attempted to formulate the doctrine of the primacy of practical reason, giving to the conscious will a central place within the theoretical philosophy. For Neo-Kantians cognition can be reduced to judgment, and judgment is understood as a result not only of an act of pure reason, but also of an act of conscious will. That allows them to hold that the laws of operation of theoretical reason and of practical reason are identical. Lask directly introduces ethical dimension into an act of cognition. “If truth is a value, then the theoretical activities of the subject of cognition are not to be seen as a sort of indifferent conduct, but rather it must be regarded in light of this value, and so to be considered a practical action, within which obtains something of moral values… Behind the cognition we find the conscience” [Lask E., GS I, S.350]. Lask points out that in opposing theoretical transsubjective value, or form, to subjective practical content, we lose sight of their original correlation. The use of such a distinction to describe the relation between theoretical and practical reason, the subjective and the transsubjective may offer us some origninal metodoligical attitudes to use in the analysis of the phenomenon of revolution. As a possible direction of such an analysis we can offer the consideration of the phenomenon of revolution from the point of view of discerning the rational and irrational components present within it. A rational side of this phenomenon in this case will be equated to the theoretical, logical sphere, the domain of forms or values, and an irrational one – to the empirical material of reality. This way of investigation of the phenomenon of revolution presupposes a serious methodological assumption that it can be regarded not only as a social phenomenon, but also as a value, form. Thus within the framework of the ethical thought of Baden Neo-Kantianism the phenomenon of revolution can be examined simultaneously from the universalizing standpoint and from the individualizing one. From the universalizing standpoint, revolution can be seen as a value form (i.e. a rational one), covering the irrational material of random reality. We can regard empirical manifestations of individual human wills as this irrational material. As for the “form of revolution”, we can understand under it crucial and drastic changes in general. From the individualizing standpoint, which starts its analysis from the irrational empirical reality, revolution presents itself as the individual, irrational, accidental empirical fact, given that we consider it as a form of personal experience. Thus, the concrete ethical interpretation of the phenomenon of revolution depends on the type of value, which we choose in order to investigate it. This value can be seen either as an individuality, being unique content of reality, or as a general (generalizing) form under which particular elements of reality are subsumed. 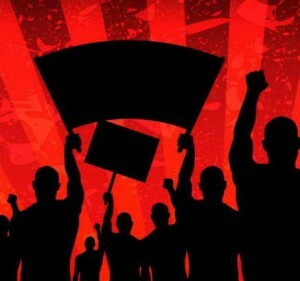 If we consider the phenomenon of revolution from the standpoint of philosophy of values and value ethics, we should inevitably allow both of these point of view on the phenomenon of revolution to be possible with our analysis – as an objective value necessity and as a random unique empirical fact of reality. This entry was posted in Philosophical and tagged Baden’s School, neo kantianism on 09/04/2018 by Mary.